The time is ripe for conversations about criminal justice reform, especially when it comes to drug use. 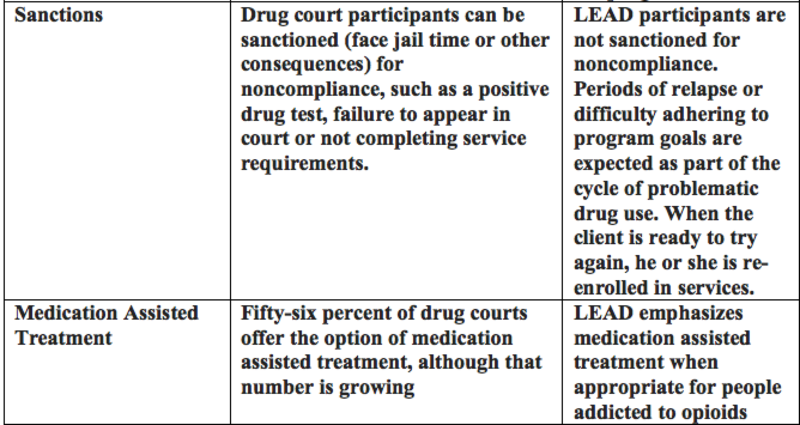 It can no longer be ignored that our prisons are swollen with non-violent offenders or that many people with problematic drug use could probably benefit more from drug treatment options than from jail. We know how a felony conviction can haunt a person for the rest of his or her life by restricting access and eligibility for jobs, housing, scholarships, governmental assistance and other services that most people need to survive. 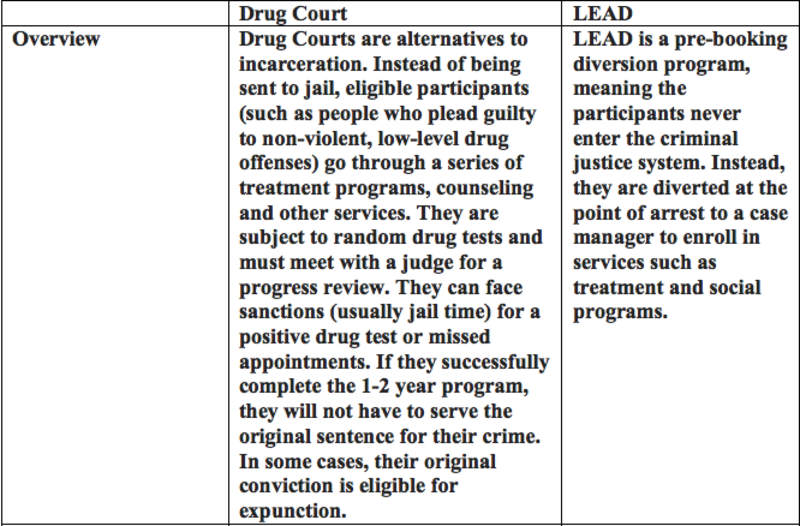 The buzz word these days is "diversion programs," or programs that divert people from the criminal justice system into rehabilitation programs to address the root of the problem instead of merely inflicting punishment. But what exactly are these programs and how do they work? 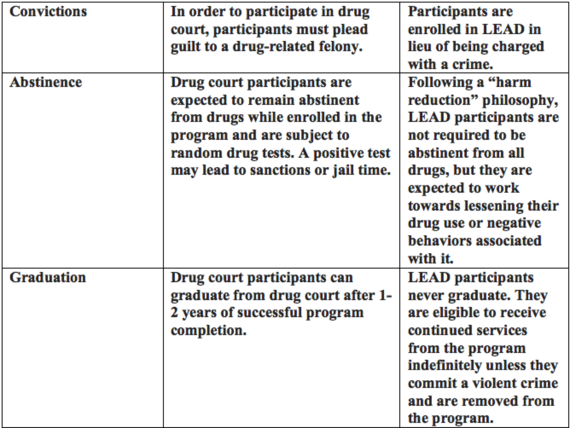 There are many different types of diversion programs and even within each type, the programs vary from location to location. 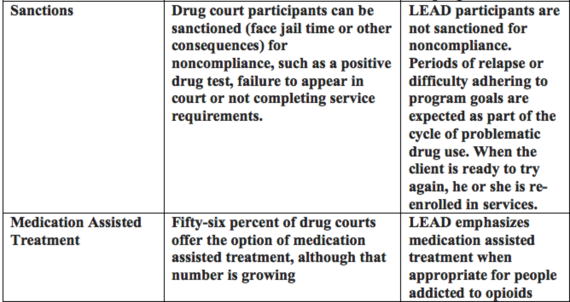 But let's take a look at one of the more common and well-known diversion programs; drug courts, and a newer program called Law Enforcement Assisted Diversion, or LEAD, to see how they might work in tandem to serve different types of people. 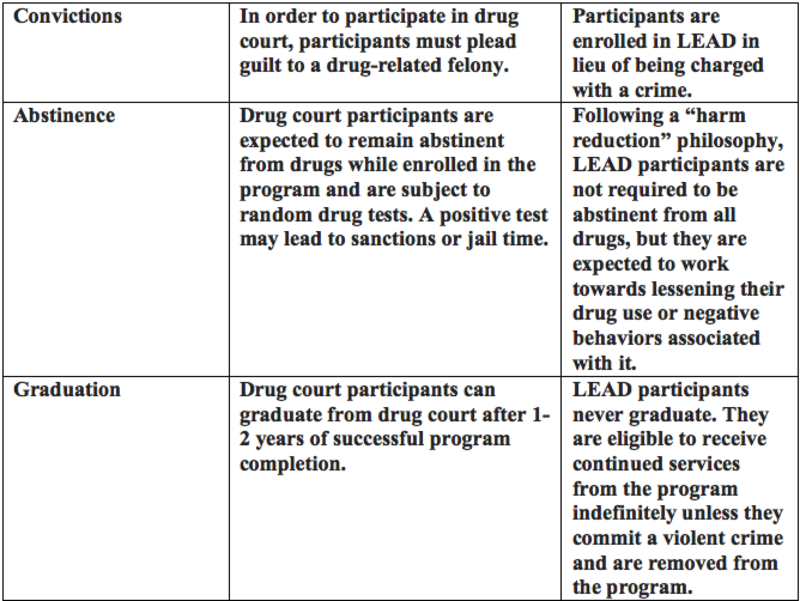 Ideally, people struggling with addiction would have an array of programs available along the spectrum of their involvement in or outside the criminal justice system. 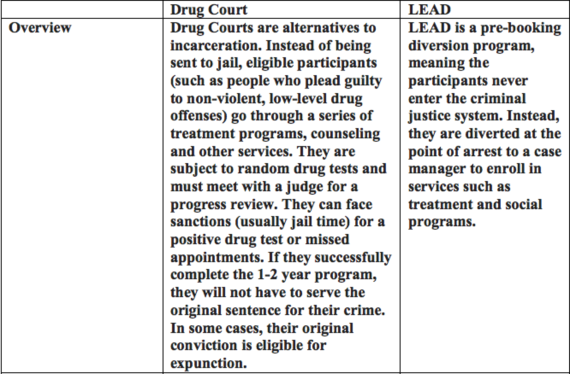 Disclaimer: Drug courts and LEAD programs vary widely between locations so these comparisons are based on general principles, but do not necessarily apply to every individual program.